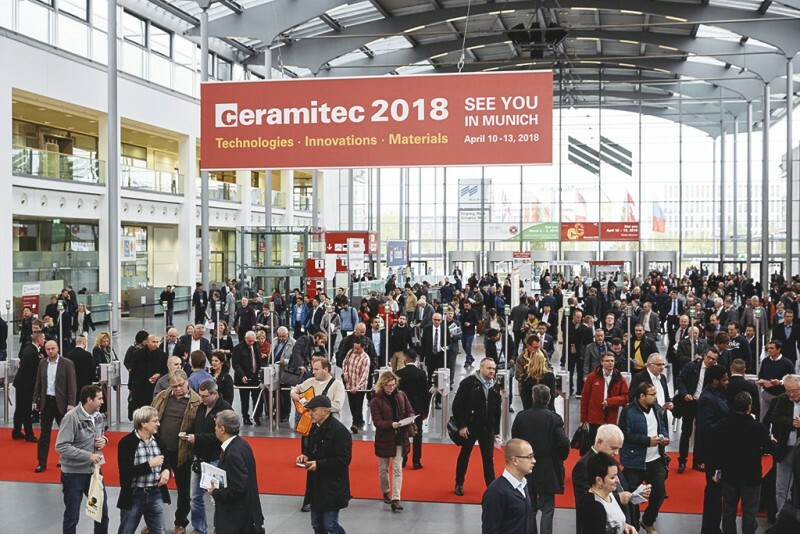 ceramitec 2018 will take place on the grounds of Messe München from April 10–13, 2018. And as early as one year before the trade show opens its gates, it is certain that it will enjoy great popularity among exhibitors once again. Compared to the previous event, the number of exhibitors having signed up to date is already clearly higher. Almost half of the registrations received so far comes from abroad. Newcomers are Toto from Japan, Gabbrielli from Italy or Arcillas from Spain, among others. As at previous events, exhibitors again include international market leaders, such as Amberger Kaolinwerke, Bongioanni, Ceramifor, Dorst, Eirich, Händle, Imerys, Lingl, MOTA, Netsch, Schunk, Stephan Schmidt and Tecnofiliere. In addition, six major joint pavilions have confirmed their participation so far, among others, from France and from China. Likewise, more space has been booked up to date than in the corresponding period of ceramitec 2015. This shows that there is a clear trend towards early registration, which Dr. Robert Schönberger, Messe München Exhibition Group Director, summarizes as follows: “We are very pleased that numerous exhibitors—including international exhibitors—have given their commitment for ceramitec 2018 at such an early point in time. The early-bird offer has found a very good response from our exhibitors, and all companies having signed up until now can invite their customers to attend the trade show free of charge.” Now, further registrations will officially still be possible until 30 July 2017.